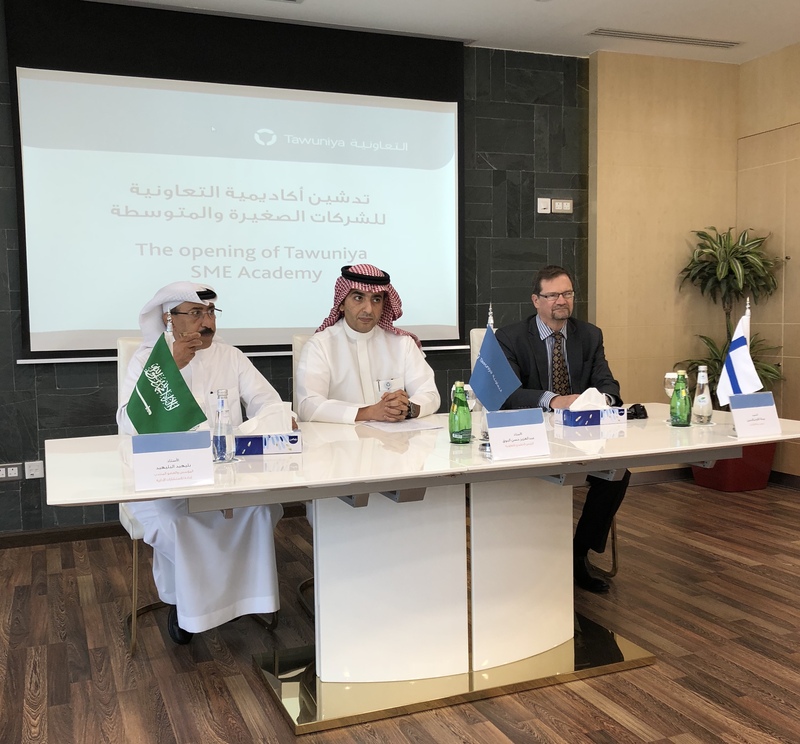 In May 2018, OEP launched an Entrepreneurship Growth Track Program for Tawuniya for local SMEs in Saudi Arabia. The growth track is offered as a part-time, 10-month business development program designed to give cross-cutting business skills for the entrepreneurs in their field. The overall focus of the 10-month learning journey is to develop the mindset needed for growth. The program has been adapted to the Saudi market, and it is based on the Finnish Diploma for Entrepreneurs program. It follows the Finnish curriculum and assessment process. This qualification program is organized through Tawuniya SME Academy in cooperation with Ejadah Management Consultancy.